Is this what it's come to? Right-wing politicians using their platforms to condemn the media? The state of our political debate. On Wednesday, the PM effectively launched an attack on all MPs – blaming them for the pesky business of amendments and Parliamentary democracy. And now, an MP took over the floor of the House to call for a BBC journalist to be sacked. 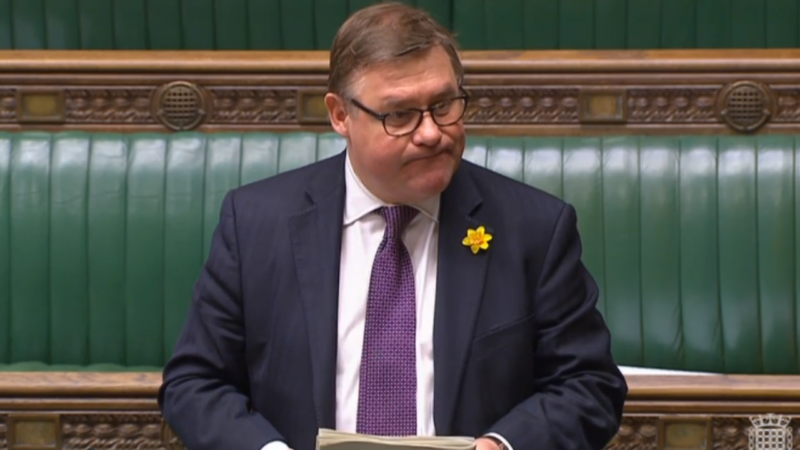 While Brexiteers might not like being compared to France’s far-right party, it is quite astonishing that ERG-activist Mark Francois took to the Commons today to call for Jim Naughtie to be sacked. Mark Francois called Jim Naughtie “a very very highly paid bigot” and demanded he apologise or get sacked by the end of the day. Bercow rightly pointed out many Remainers feel the BBC is irredeemably biased in favour of Brexiteers. The Speaker said the Commons was not a place for ‘personal attacks’. Brexiteers appear to have missed Nigel Farage’s appearance this morning – when he said without evidence that “a very, very clear majority” now support No Deal, he went unchallenged. Let’s admit it: both sides think the BBC is biased. The BBC is just imperfect like everything else. So now Brexiters are so desperate they call for censorship of the media? How long before they want to close down the Guardian? Remember this: Over 200,000 sign petition telling May to sack Toby Young. He’s got to go. That’s your flippin’ headline! How about “Tell advertisers to boycott LBC until they sack Katie Hopkins”. Do you remember that one? MPs should not ask for presenters to be sacked. But given LFFs record of calling for sackings, no-platforming and the like, you’re looking at a mote while missing your own beam. You could at least try not to be hypocrites. The accusation that the BBC favours remain in its editing of news programmes is absurd. The ERG/no-deal Brexiteers gets amazing coverage on Today, WatO and PM. Add this to the hard-line Brexiteers in the Cabinet like Fox and Leadsom and you could easily draw the opposite conclusion. When the no dealers appear on the programme they are allowed to broadcast the many falsehoods of a sudden break virtually unchallenged. But also when the May deal apparatchiks say the deal means end of free movement and we are leaving the EU they are not pulled up by presenters and reminded that the transition period means we can’t leave the EU until January 2021at the earliest. This is why so many have a problem with the May formula. Mark Francois is the resident Tory Brexit Rottweiler!